If you speak fluent English and are looking for a side gig you can do online, Cambly continues to recruit people to chat with English learners. 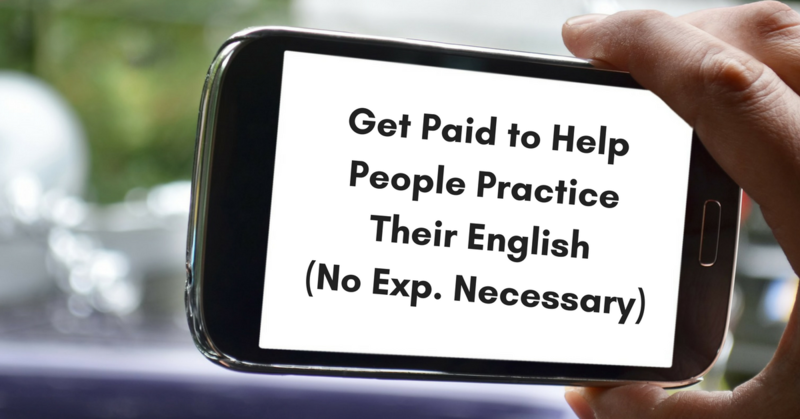 You’ll need a smartphone or tablet, or high-speed internet on your computer, and be willing to chat with people who want to practice their English. Work from any state. While the “get paid to chat” jobs often serve students from Asia, Cambly seems to draw from a wider base. In addition to Asia, it has students from South America, Saudi Arabia, India, Turkey, South Korea and others. If you’re like me and enjoy experiencing other cultures, it could be a good way to get paid to share your language and culture while learning a lot about others, too. However, it’s not clear whether “priority hours” are still available or how often they’re allocated. Since workflow at Cambly seems to be iffy, you may want to treat this as an extra-cash option that can provide work-from-home and tutoring experience, rather than core income. While you chat with students, Cambly automatically tracks your time. You’ll earn $0.17 USD per minute of tutoring (an hourly rate of $10.20). Pay is sent every Monday via Paypal. You must have $20 minimum in earnings before payment is sent. Since you’re paid per talk minute, it’s unlikely you’ll be chatting for a solid hour and net $10.20. At least not regularly. Best to have another gig on hand for downtime. InboxDollars is looking for poll takers, so that’s one option. And Palfish is another company that pays for Tutors, no experience required. For more on them, click here. The signup was pretty simple the last time we checked. Fill in the blank forms, do a quick video for Cambly’s internal use, and verify your email address. There will be some questions about any certifications or teaching experience you might have, but it’s just fact-gathering – neither one is necessary. Then they’ll review your application and get back to you with a yes or no. CLICK HERE to apply. For reviews on Glassdoor, click here. This entry was posted in Earn Extra Cash, Education & Teaching, Work at Home Jobs, Work from Anywhere. Bookmark the permalink.